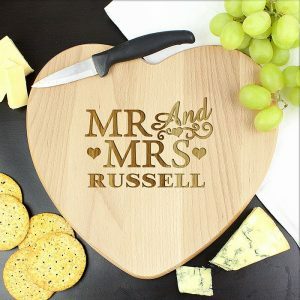 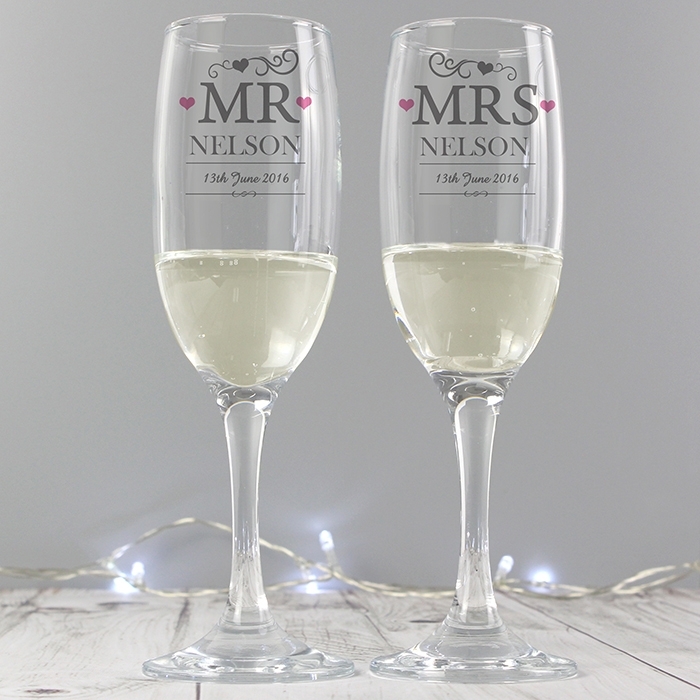 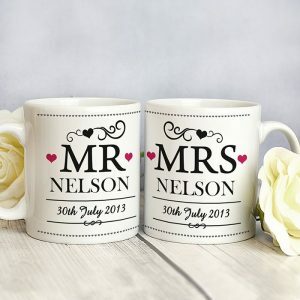 These Personalised Mr & Mrs Pair of Flutes & Gift Box, can be personalised with a surname up to 15 characters, and any date up to 20 characters. Personalising the flutes will make these gorgeous flutes unique to the happy couple. 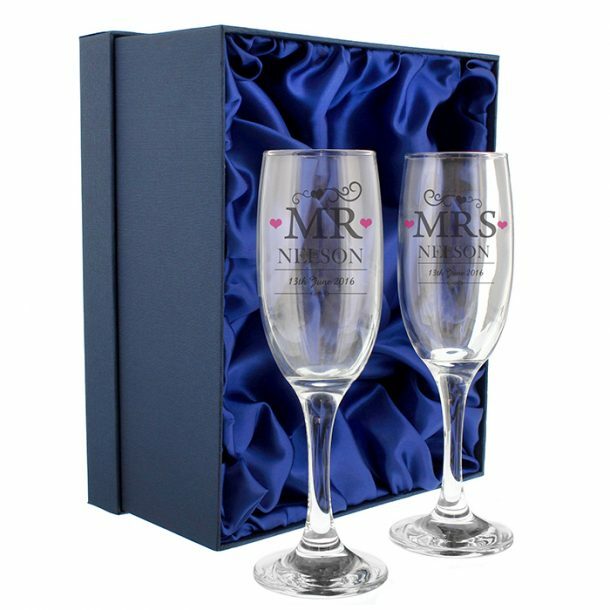 The flutes are expertly engraved, and are then stylishly presented in a blue lined silk gift box for the recipients. 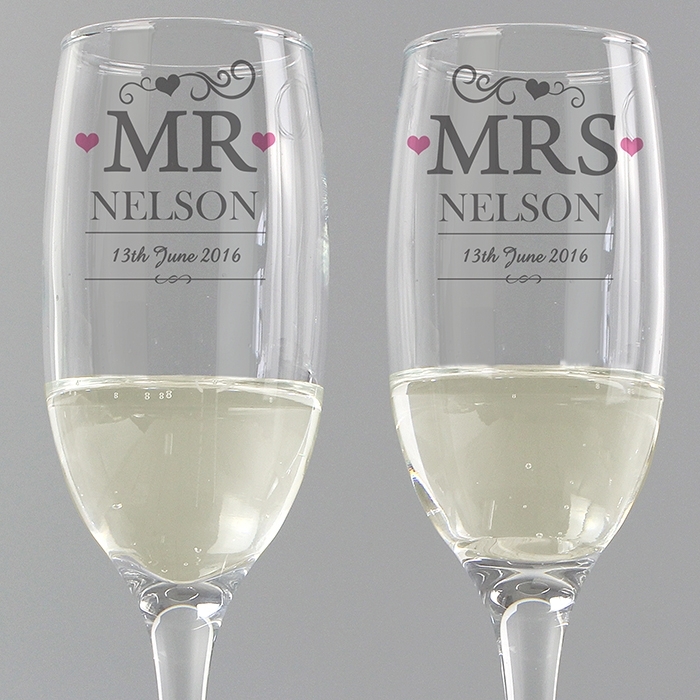 ‘Mr and Mrs’ is fixed text on the flutes, the chosen surname will appear in capitals as standard. 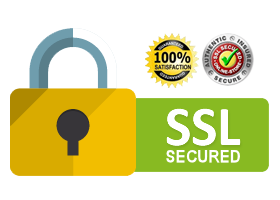 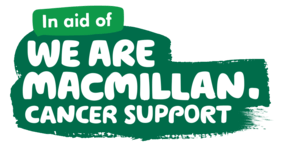 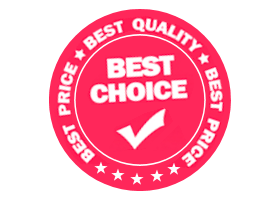 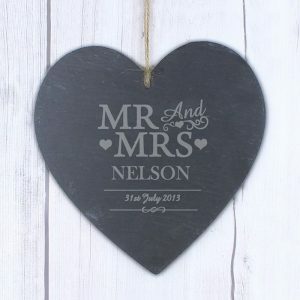 Due to the font type used please refrain from using all capitals in your personalised message on line 2. 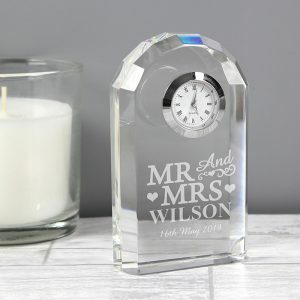 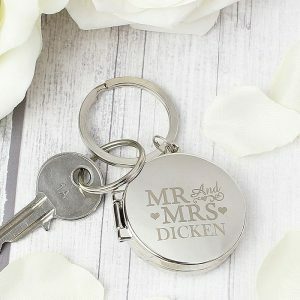 A gorgeous Wedding or Anniversary gift for a family member or friends.